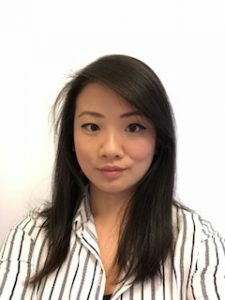 Louise Chu, Commissioning Manager at the Money Advice Service (MAS), writes about an exciting partnership formed between two forward-thinking organisations who are working collaboratively with MAS to better support people to take control of their debts themselves. At the Money Advice Service, we thoroughly enjoy connecting with like-minded experts to share knowledge, to create ideas on how to do things better and, where opportunities arise, to work collaboratively to achieve shared goals. For me specifically, this is in relation to ensuring appropriate advice and support is available to people struggling with their debts. We are very excited to share that work is well under-way between MAS, the Money Advice Trust, an independent charity that is experienced in providing advice to people with debt problems, and Ogilvy Change, a leading behavioural interventions agency. We are working on incorporating behavioural science principles to National Debtline’s guide to ‘Dealing with your debts’. This guide has been used for many years and is designed to support people to manage their debts on their own when they are capable of doing so. Our shared goal is to ensure this group of people are supported with a resource that is optimised to encourage engagement and supports them through their journey. Our first workshop kicked off last week, Ogilvy Change facilitated an engaging full-day workshop where we applied the COM-B model of behaviour change (Capability, Opportunity, Motivation and Behaviour) to the steps within the ‘Dealing with your debts’ guide – increase your income, work out your personal budget and dealing with your priority/non-priority debts. 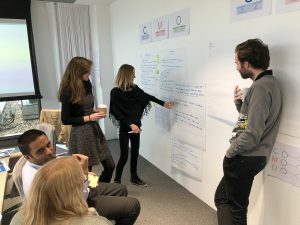 Collectively we left the workshop feeling enthused and excited with the prospect of producing a behaviourally enhanced guide which will help more people manage their debts. It is a real pleasure working with such motivated, talented and forward-thinking colleagues. With more workshops scheduled in the coming months, please watch this space for a further update. We understand that not everyone struggling with their debts can deal with them on their own and would benefit from support given by an experienced adviser. Last September we published our free guide ‘How to use behavioural science to increase uptake of debt advice’. This guide, grounded in solid evidence and real-world experiments, has been designed to assist debt advice providers across the UK, to encourage clients to engage with their services to help them manage their financial problems. If you have a shared interest in applying behavioural science within advice services we welcome your thoughts, and would love to hear your experiences. Please get in touch with us at testingtogether@moneyadviceservice.org.uk.